JERUSALEM (Reuters) - Israeli forces shot dead a Palestinian in the occupied West Bank on Thursday after he ignored calls to halt and attempted to attack one of the soldiers at a crowded bus stop, the military said. The incident took place near the West Bank settlement bloc of Gush Etzion south of Jerusalem, on the main road to Hebron, which has become the focal point of recent violent unrest that began more than a month ago. More than 30 attacks have taken place against Israelis in the area since the start of October, the army said. "(Soldiers) thwarted an attack at a crowded bus stop at Gush Etzion junction when a Palestinian armed with a knife attempted to stab them. Forces at the scene responded to the immediate threat and shot the assailant," the army statement said. 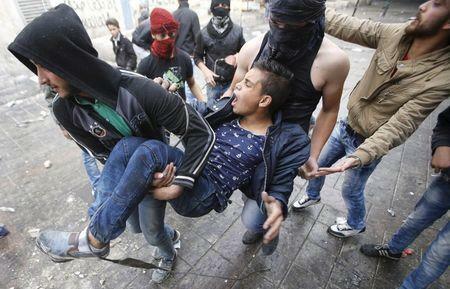 A military spokeswoman later said the Palestinian had died. Eleven Israelis have been killed in stabbings, shootings or other attacks. 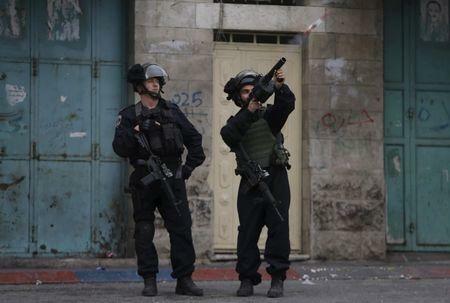 At least 69 Palestinians have been shot dead by Israeli forces, including 42 who Israel says were attackers. Many were teenagers. A growing number of visits by religious Jews to al-Aqsa plaza, which is also revered by Jews as the site of two destroyed biblical temples, have stirred Palestinian allegations that Israel is violating a long-running agreement banning non-Muslim prayer there. Israel has accused Palestinian officials of inciting violence by spreading the allegations, which it says are false. The al-Aqsa mosque is one of Islam's holiest sites.